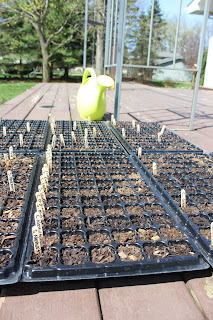 The Hayes Homestead: Starting our Seeds! You may remember that last year, we started seeds in eggshells. 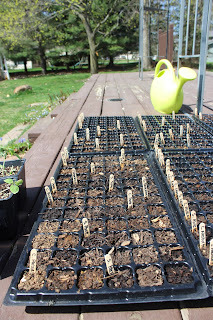 That worked great for starting just a few seeds, but since we were going much bigger this year, we needed something that could hold more seeds and not quite as time consuming :) I ended up ordering starter cells similar to these from Amazon. 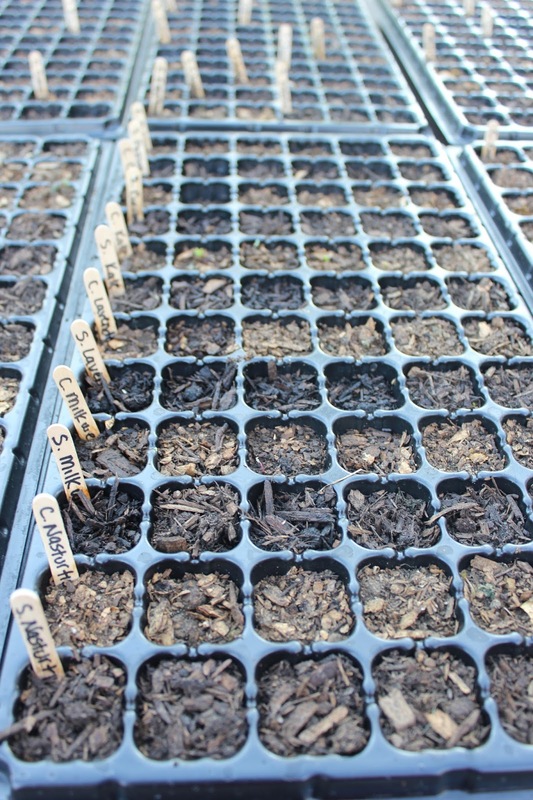 We're doing something new this year with our garden - starting (nearly) everything from seed! We're super excited and anxious to try this. I found a seed distributor located in Michigan - Annie's Heirloom Seeds - placed an order, and they arrived in just a few days! 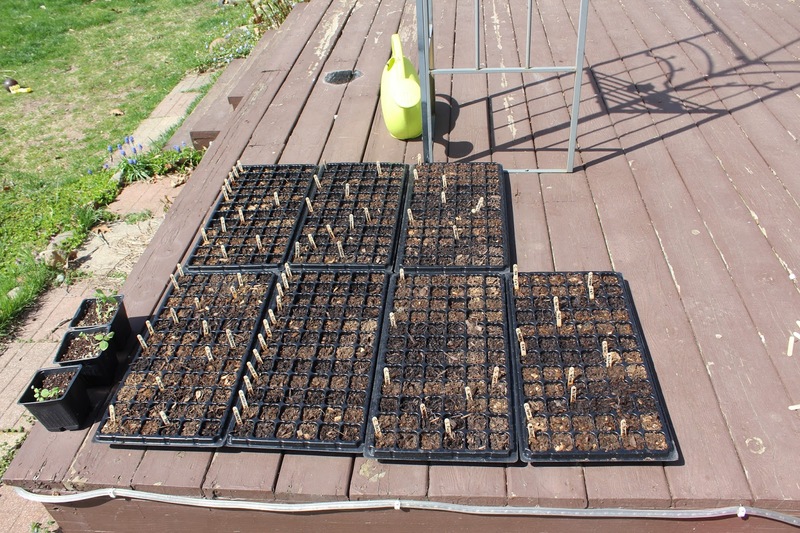 We ordered 39 different types of seeds along with some starter potatoes (the potatoes won't arrive until next month). 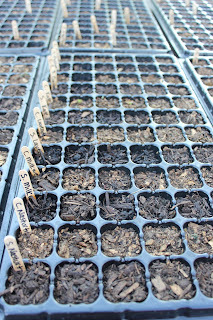 Not all of the seeds that we ordered were started early in these cells. 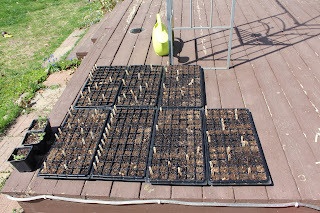 Some will be sown directly into the garden when we plant it (corn, peas, beans, spinach, etc.). We also decided to try a little experiment. 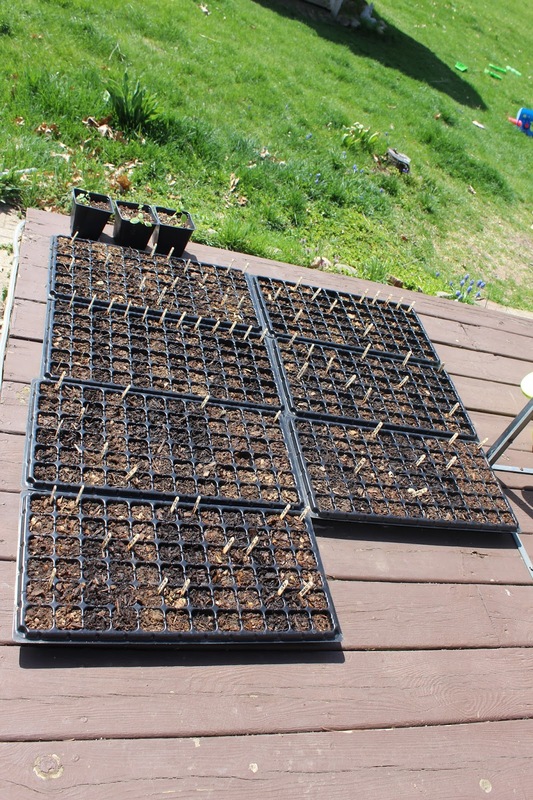 I planted half of each crop's seeds in organic soil and the other half in our homegrown compost. It will be interesting to see if there is a difference in how they grow! 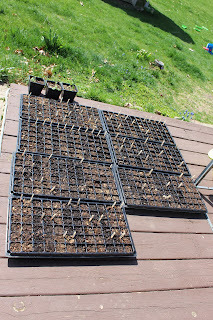 Along with these, we have a few Husk Tomato plants my brother sent home with us from South Carolina and approximately 50 Hops seeds chilling in some vermiculite in the refrigerator. We'd love to be able to grow our own hops!! And now, we cross our fingers and wait. Stay tuned for an update soon! !